Nail trends come in and out with fashion and food trends. There is no way to predict what’s coming next, but it’s usually something we have seen before. These are five nail trends that have lasted through the years and we still completely love. They’re professional, fun, flirty and — most importantly — long-lasting. This type of manicure is great for those people who want to grow out and strengthen their natural nails. Some gel nail overlays done like this: The nail artist will add a coat of thick gel to the natural nail and shape it so it covers the entire nail smoothly. This will cure under a lamp, and then the overlay is shaped and worked into the desired shape and smoothness. Then gel colors or designs can be applied directly on top and cured as needed. Ah, back to basics. We love a good, crisp design on one or two nails. It dresses up a regular manicure and adds a little personality. To get the look,you just stick the nail polish stencils on your nails, paint over them, let the polish dry, and peel the stencils off! Super simple, and guaranteed to get you great results. One trend that’s really making a comeback is the dip powder manicure. It feels like acrylic and cures like regular nail polish. 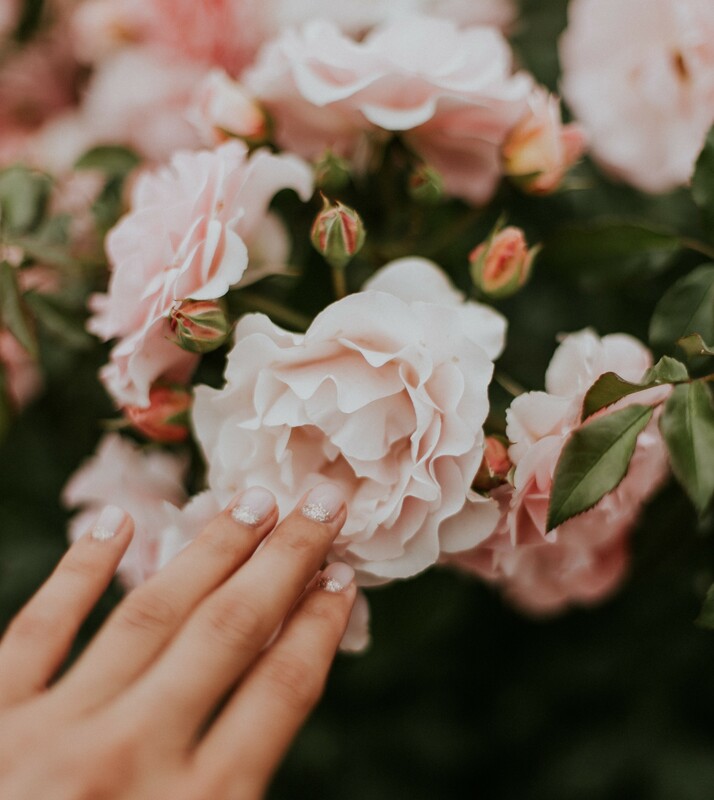 Essentially, your nail artist will shape and prep your nails, put on a special foundation coat, and then another base coat, and then dip your nails directly into the container of powder. Your nail has to be completely covered in the color and then they’ll paint another coat of clear polish over the powder. The combination powder and nail polish hardens quickly, and then a shine coat is done over the top. It’s so simple, and it doesn’t smell as bad as a regular acrylic manicure. This can be done with gel, acrylic, regular nail polish and more. It’s really your choice of medium. You’ll do the prep work for the nail, and then most women like a slight pink coat of nail polish as a base color. Then a white tip is painted across the top of the nail. Some people like to use a stencil (with regular polish) to keep the line more even and straight. If you’re choosing acrylic nails, the nail artist will actually glue the white tips directly onto your nail and do the pink acrylic on top of that. It’s a timeless look that always looks polished and professional. This is arguably the most popular nail trend in the current time. You can have flawless looking nails in a much shorter time, simply because the gel polish cures under a UV or LED light in a matter of minutes. You won’t have to worry about drying time or smudging anything, and this look will last for at least a week if it’s done correctly. The nail artist will use a special foundation base, and then paint the base coat. You’ll put your hand in the UV light for a minute or two, and then the coats of the color gel nail polish will go on after that. You’ll top it off with a clear, shiny, top coat and your nails will be dry right away. See more fashion tips and trends from New Fashion here.